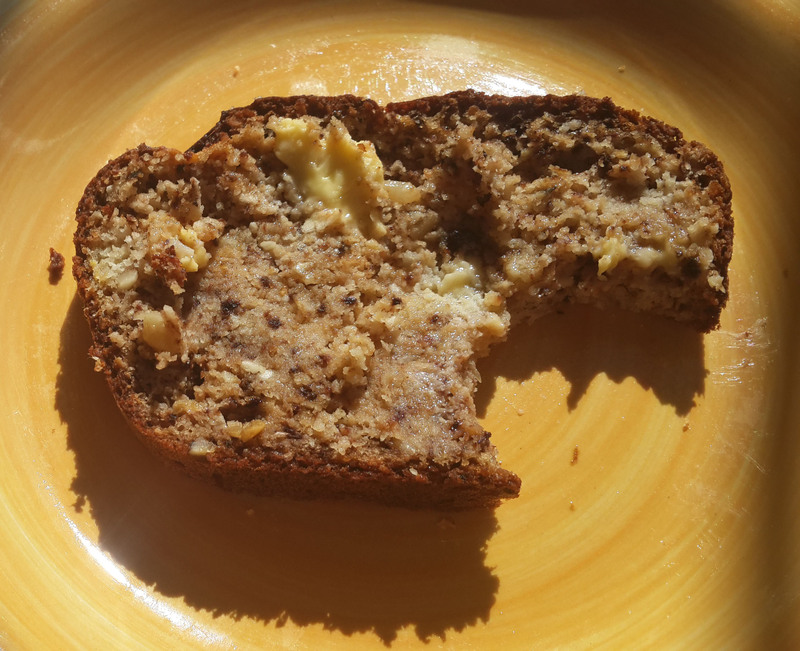 I love banana loaf, but have found it difficult to create a recipe that is grain free, sugar free, and does not contain any form of corn/maize (important for Da Son). It’s taken a fair bit of experimentation but I think I finally have a winner. 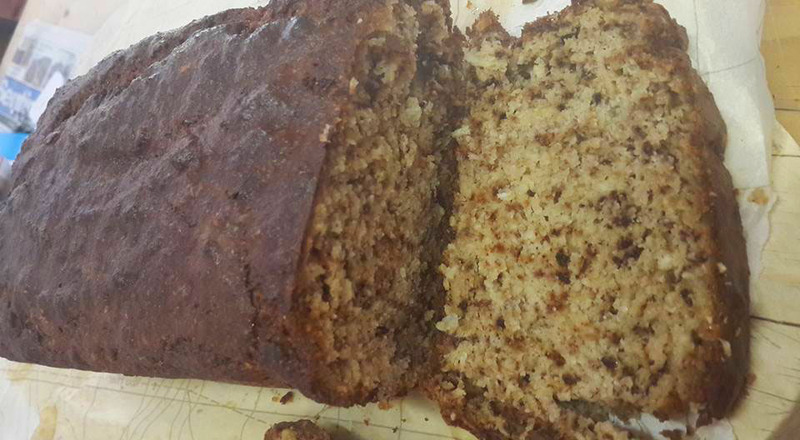 BIG PLUS: It got a thumbs-up from Da Kids, who showed fantastic willpower to save some for school the next day. I didn’t take step-by-step photographs and will add them in when I bake this again. Meanwhile, try this and enjoy! Once the batter is mixed well, pour it into a loaf tin that is lined with greased baking paper, and bake for approx 45 – 50 minutes, or when your testing skewer comes out clean when inserted. Let it cool, slice and enjoy. Wait… what the hell – cut it immediately and let fresh butter melt onto your slice. Inhale that beautiful aroma. Then stuff your face.